Dr Sam Alberti is Director of Museums and Archives at the Royal College of Surgeons of England, which includes the renowned Hunterian Museum. 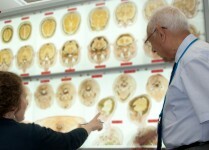 He is interested in the past, present and future of medical and natural history collections. His books include Nature and Culture: Objects, Disciplines and the Manchester Museum (2009), The Afterlives of Animals: A Museum Menagerie (2011) and Morbid Curiosities: Medical Museums in Nineteenth-Century Britain (2011).